Will you offer $1, $5 or $10 each month to help Workers World Party build a revolutionary machine of resistance for the coming era? 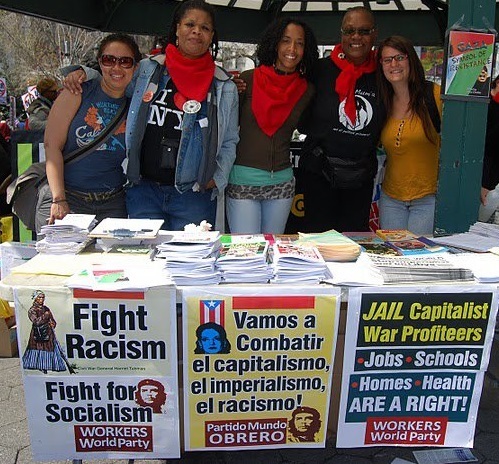 May Day is around the corner, and Workers World is working around the clock and across the United States to build on our call for a global general strike and the immediate militant defense of all workers, but especially those who are migrants, of color, women and LGBTQ. 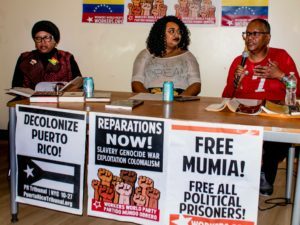 Since Trump’s inauguration, the country has seen not only a wave of reaction but also a wave of revolutionary resistance to the racist, sexist and arch-capitalist U.S. regime. When a racist ban against migrants from six majority Muslim countries in the Middle East and Africa was put into place by Trump in late January, hundreds of thousands streamed into airports across the country to hold mass protests. When scores of U.S. cruise missiles hit Syrian government targets, snap actions were held in scores of cities across the country. In response to Trump’s racist agenda, a prison uprising took place in Delaware. The incarcerated people at Vaughn said with one voice: No more! The air is thick with revolutionary potential, but we need organization — real grass-roots response as opposed to the same old Democratic Party tricks — to mount a challenge to this reign of terror against people of color and the working class. 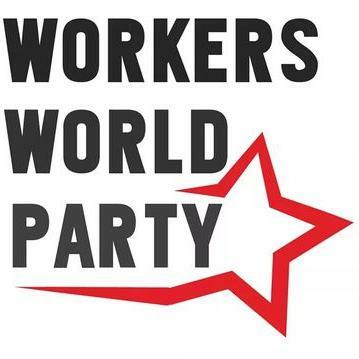 Workers World Party has launched a Patreon subscription service to help cover the costs of rapid growth in both membership and activity in response to this mass call. Since Jan. 20, Workers World has rolled out migrant and worker defense committees, people’s assemblies and jail solidarity efforts. The police have targeted our revolutionary organizers to try and send a message of fear and intimidation. While our newspaper has been finding its way into the hands of thousands of new readers, the Pennsylvania Corrections System has effectively banned our paper from reaching our brothers, sisters and siblings who are incarcerated. We expect that for every gain our class makes, we will face a strong response from the ruling class, ever eager to protect their wallets and the white supremacy that keeps capitalism and imperialism afloat. 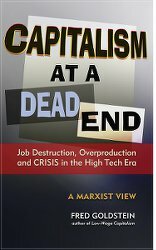 This is why a vanguard party like Workers World needs mass support for the coming era. Click here to contribute. For a $5 pledge, you will receive a copy of Workers World newspaper every week, helping to keep you in touch with the struggle in the streets across the planet. You’ll be getting the latest analysis from the party on issues that concern everyone, especially those who find themselves even more vulnerable under the new U.S. regime. For a $10 pledge, you will pay not only for your own subscription, but for a subscription for one of our brothers, sisters and siblings who are incarcerated. Even $1 helps. It’s less than a cup of coffee and goes toward building revolutionary socialist resistance. The world is ours to win — but we need your support. Sign up, share with your friends, and let’s get to work!